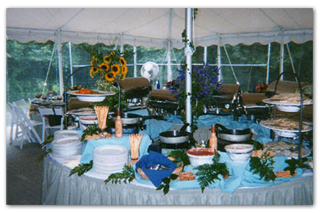 "Serving your community for over 40 years"
A & B Tent Company is a family owned and operated tent rental business servicing Westchester and surrounding areas since 1967. A & B Tent Rental offers a wide variety of tent sizes and colors. We have tents for 20 – 1000 people. Our primary focus is on complete party rentals, party planning/event planning and we count it a privilege to help plan your event. We offer complete Party Rentals, Party Planning/Event Planning in the Cortlandt Manor, NY, Bronxville, NY, Armonk, NY, Yorktown, NY, and the surrounding areas. Please contact us to schedule a free at home consultation. Call or click now! 914-737-1659 or email us!